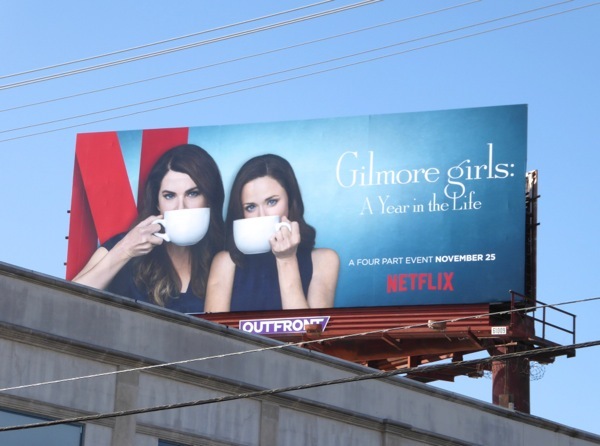 Not all TV revivals are a total success, there's Fuller House, Dallas and The X-Files to name but a few that didn't really live up to their past lives, so can Netflix's Gilmore Girls: A Year in the Life deliver a television event that bucks the trend? 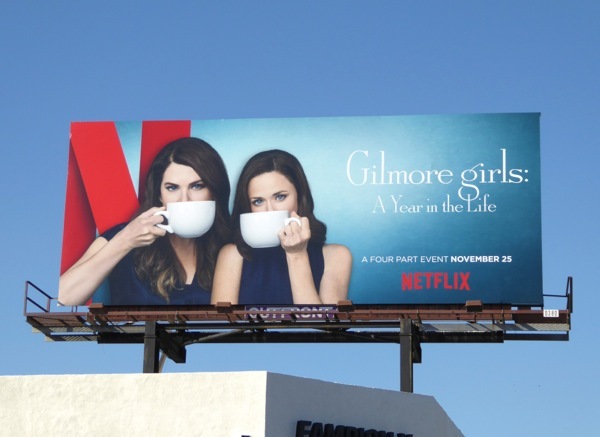 Fans of the show that originally ran for seven seasons from 2000 to 2007 will no doubt be thrilled when Alexis Bledel's 'Rory Gilmore' returns to visit her mother 'Lorelai Gilmore' (Lauren Graham) in Stars Hollow for four fast-talking seasonally-themed 90 minute specials. Time to enjoy more of the mother-daughter rapport that viewers grew to love, and to revisit a whole host of supporting characters from the show and find up what's happened to everyone since we last saw them all with the return of Milo Ventimiglia, Kelly Bishop, Jared Padalecki, Matt Czuchry, Scott Patterson, Keiko Agena, Melissa McCarthy and more. 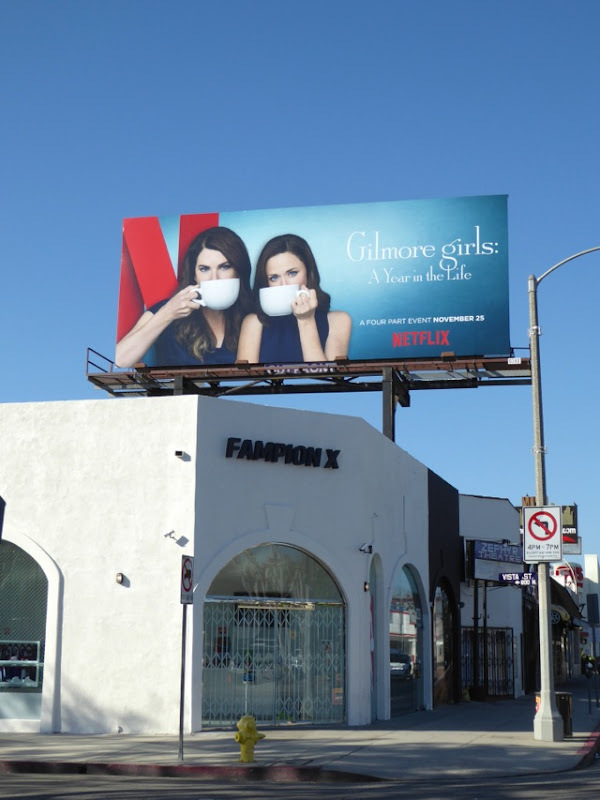 These Netflix Gilmore Girls billboards were snapped above Beverly Boulevard on November 17, then later along Melrose Avenue on November 22, 2016. 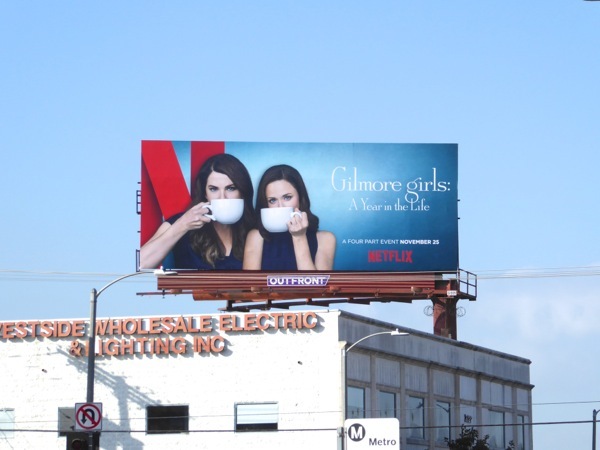 Plus you can also check out Lauren Graham in this Parenthood TV series billboard from 2010. 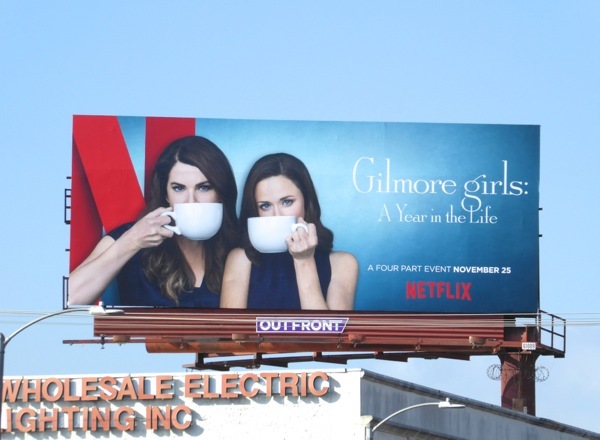 Now sit back, relax, and enjoy a cup of joe with some old friends this long Thanksgiving holiday weekend.